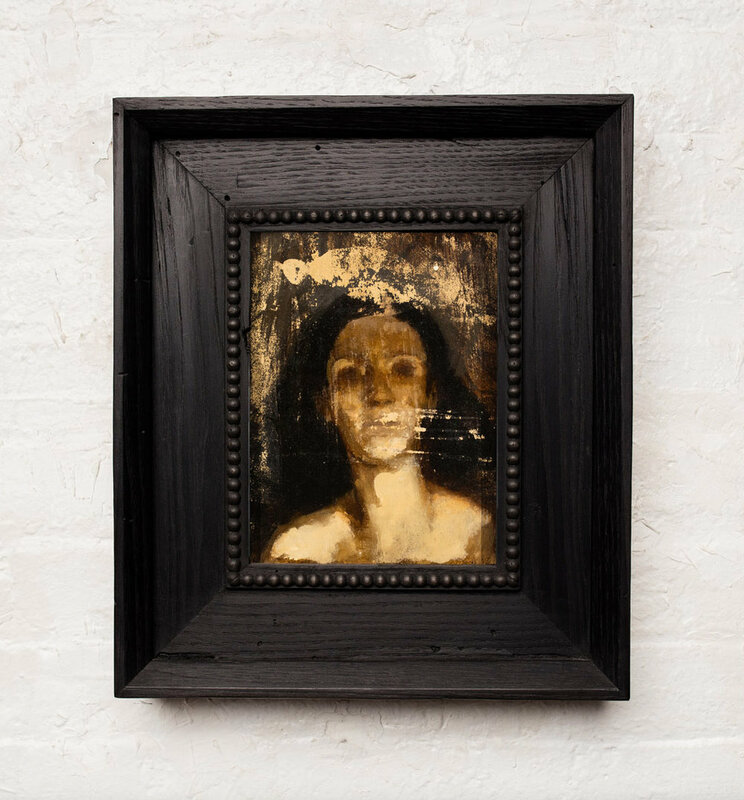 Widdershins developed through a series of conversations between Wilson and Kurian regarding painting and its relationship to the frame. It is inspired in part by the era of grand European manor houses which were designed from timber down to detail, including ornate picture frames for which paintings were commissioned to fit. The artists exchange reinvigorated a collaborative relationship between the painting and its frame. Widdershins refers to that which goes against the sun, or, counter clockwise. The word also means “in a direction opposite to the usual”. In that spirit, Widdershins began with a discussion of the exhibition space and the frames envisioned. 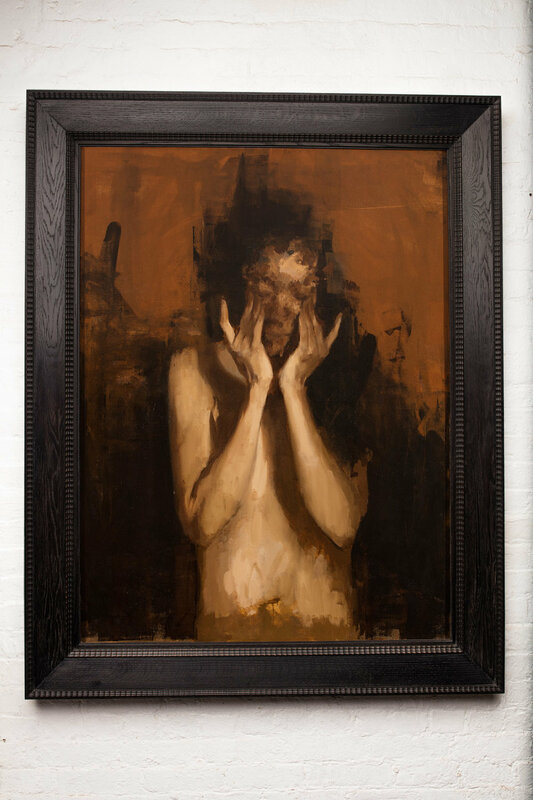 The paintings and frames were produced simultaneously with constant dialogue between Wilson, from his studio in Portland Maine, and Kurian, from his workshop in New York. Images, ideas, and progress were recorded and communicated via emails and text messages. The work presented in Widdershins takes an appreciation for both traditional techniques and a historic New England aesthetic, while applying a contemporary means in both process and execution. 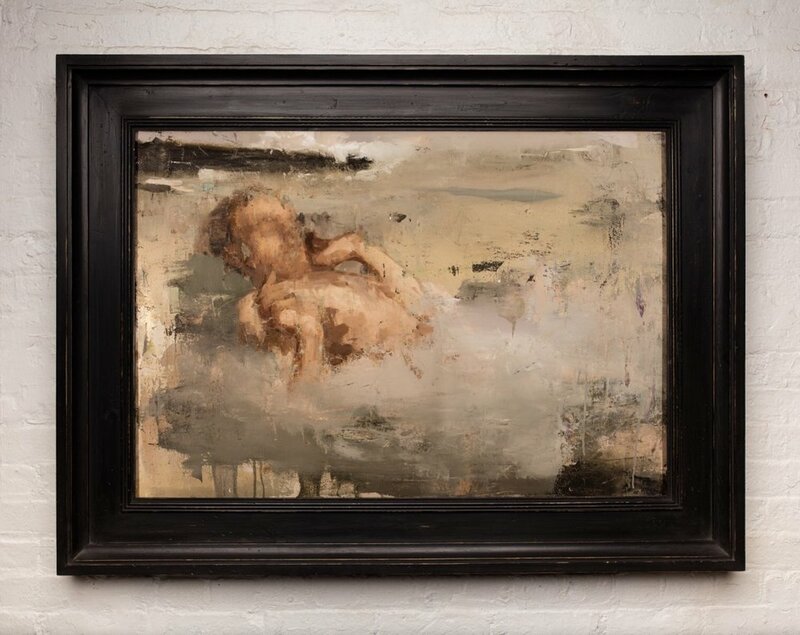 Taking into account the origin and meaning of Widdershins, the imagery invokes an array of subtle themes: silhouettes, darkened rooms, hints to the unknown and inversion of the making process. Gerald Kurian is a picture framer and artist living in New York City. He has worked in the picture framing industry for over twenty years. Timothy Wilson graduated with a BFA from the Rhode Island School of Design in 2008 and briefly pursued a career in creative design before turning to painting. He lives and keeps his studio in Portland, Maine.